When you are exchanging USD to JPY, you want to know the exchange rate before you proceed with the transaction. The same pattern is expected for XRP and other cryptocurrency exchange. To have an idea of what the ruling rate of exchange of XRP to your desired cryptocurrency is, you need to check what the exchanges are quoting. You can see live rates on Binance, Poloniex, and other platforms. The global ruling rates can also be found on crypto price aggregators such as CoinMarketCap. The price chart for XRP is a very useful tool if you are an XRP trader or researcher. The price history, trading volumes, market capitalization and volatility are readily displayed by the price charts. When traders are calculating price forecasts, the price chart provides a visual aid when assessing past, present and future dips and highs. 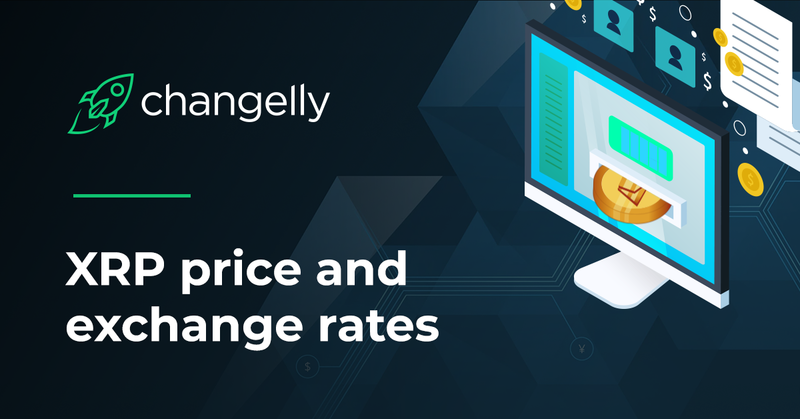 With Changelly, the prevailing exchange rate of XRP to the exchange coin or token of your choice will be readily displayed. It is advisable that you check the ruling exchange rate before you initiate your transaction so that you will have a clear idea of the transaction values. Since the market for cryptocurrencies is very volatile, you should not calculate your fees and expected value based on past records. By using Changelly, you have a correct picture of what to pay, what to receive and what your charges will be. Previous Post:How to Set Up an Ripple (XRP ) Wallet?